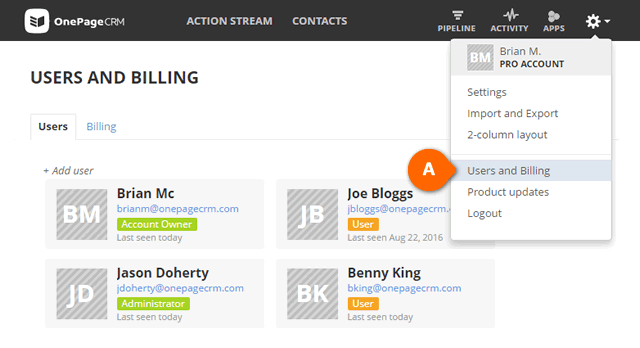 Where to access your invoices in OnePageCRM? 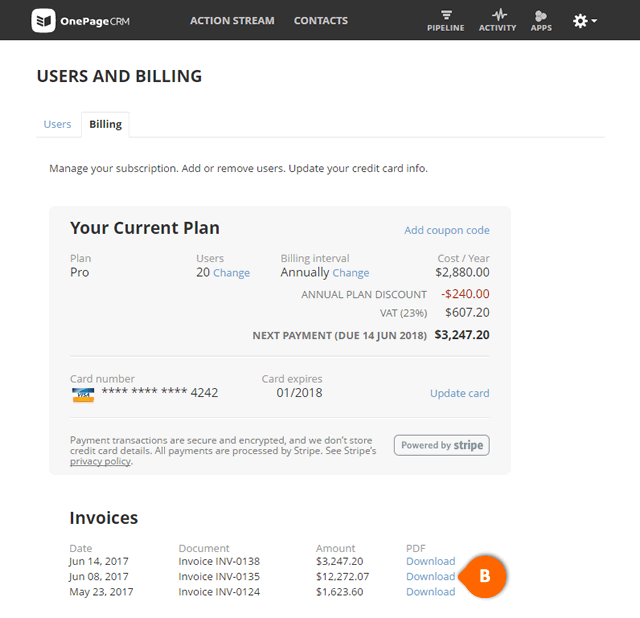 Under the Billing tab, scroll down to the Invoices section. All invoices issued to you are displayed here. To open the .pdf copy of an invoice, click on the Download link (see B) under the PDF column.